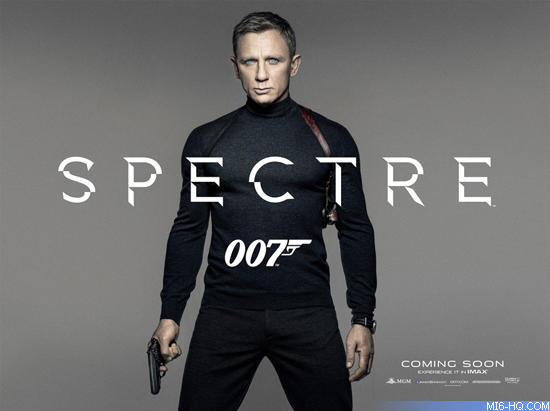 Press Release: Albert R. Broccoli's EON Productions, Metro-Goldwyn-Mayer Studios, and Sony Pictures Entertainment are delighted to announce that the World Premiere for SPECTRE will take place in London on Monday, October 26, 2015. For the first time ever, the film will open on the same night at cinemas across the UK and Ireland, giving audiences the opportunity to be the first in the world to see the hugely-anticipated 24th film in the James Bond franchise. Following the World Premiere and release in the UK and Ireland, SPECTRE will begin its rollout in territories around the world. The film will release in the US on November 6, 2015. Skyfall, the 23rd James Bond film, was a worldwide box office phenomenon, opening #1 in 70 territories around the world and earning over $1.1 billion worldwide. Skyfall set a new all-time box office record in the UK by becoming the first and only film ever to earn over £100 million, a record which remains unbeaten.